Download "Ch. 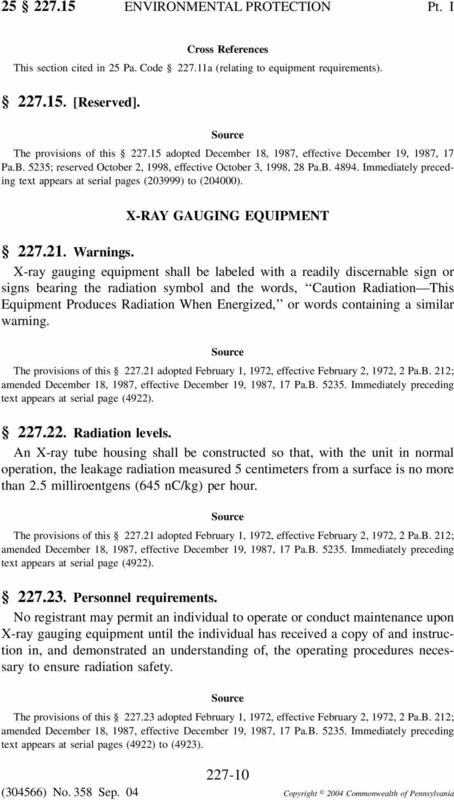 227 ANALYTICAL X-RAY EQUIPMENT 25"
1. Introduction. The RSO will submit a copy of the revised manual to the RSC for approval when the revised manual has substantial changes. 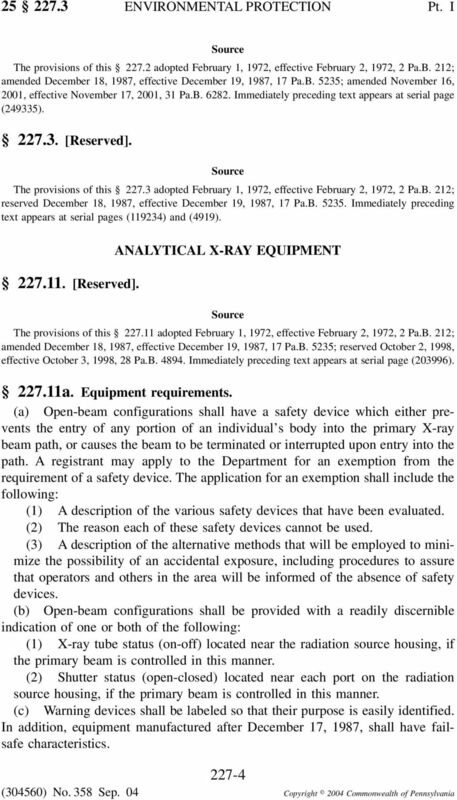 X-ray Safety Manual Radiation Safety Office URI Bay Campus 16 Reactor Road Narragansett, RI 02882 Phone: 401-874-2600 Fax: 401-874-9452 www.uri.edu/radiation 2/2015 Revised 02/2016 Table of Contents 1. MATERIALS LICENSE. Delaware City, Delaware 19706 5. Docket No. 030-38418 Reference No. Ch. 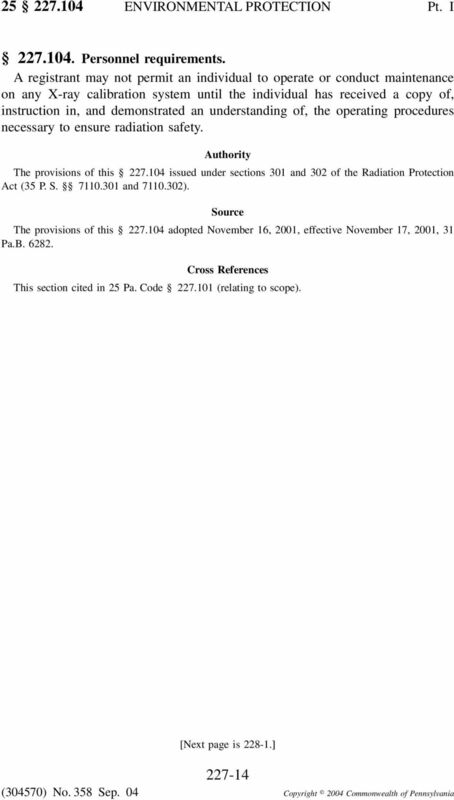 435a KEY, GAMING & NONGAMING EMPLOYEES 58 435a.1 CHAPTER 435a. KEY, GAMING AND NONGAMING EMPLOYEES; BOARD-ISSUED CREDENTIALS Sec. 435a.1. 435a.2. 435a.3. 435a.4. 435a.5. 435a.6. 435a.7. 435a.8. 435a.9. Ch. 33 COLLEGE & UNIVERSITY SECURITY 22 CHAPTER 33. 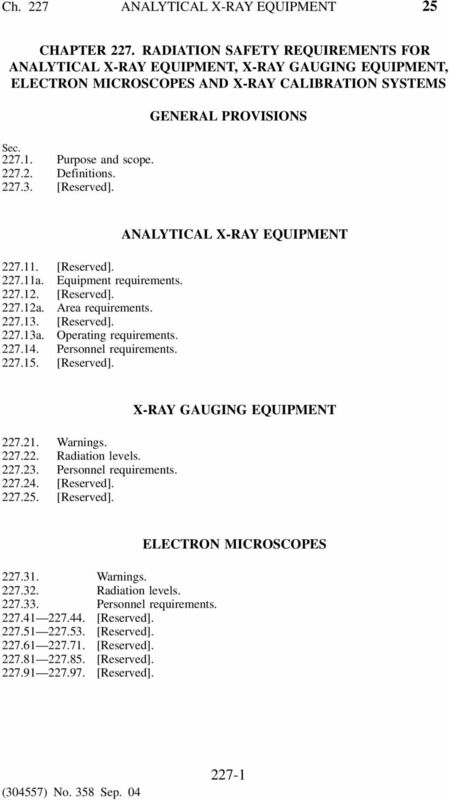 COLLEGE AND UNIVERSITY SECURITY 33.1 33.3. [Reserved]. 33.11 33.14. [Reserved]. 33.21 33.24. [Reserved]. 33.31 33.33. [Reserved]. 33.41 33.43. [Reserved]. Ch. 151 FIRE, SAFETY, DISASTER SERVICES 28 CHAPTER 151. FIRE, SAFETY AND DISASTER SERVICES Sec. 151.1. Principle. 151.2. Policies and procedures. 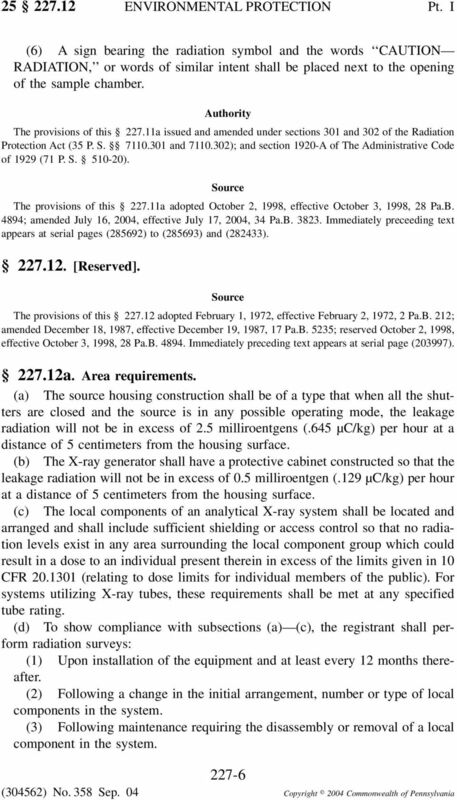 GENERAL PROVISIONS 151.11. Fire fighting service. 151.12. Page No. 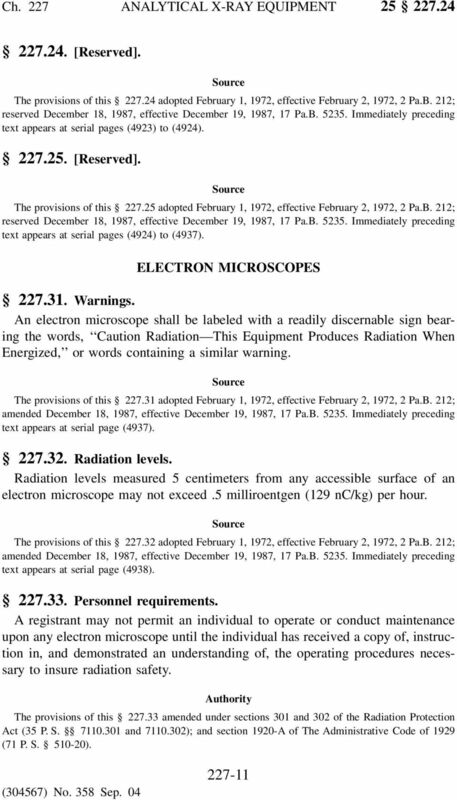 : a. Laser Safety Manual This manual was produced by and is available from Queen's University Environmental Health and Safety. 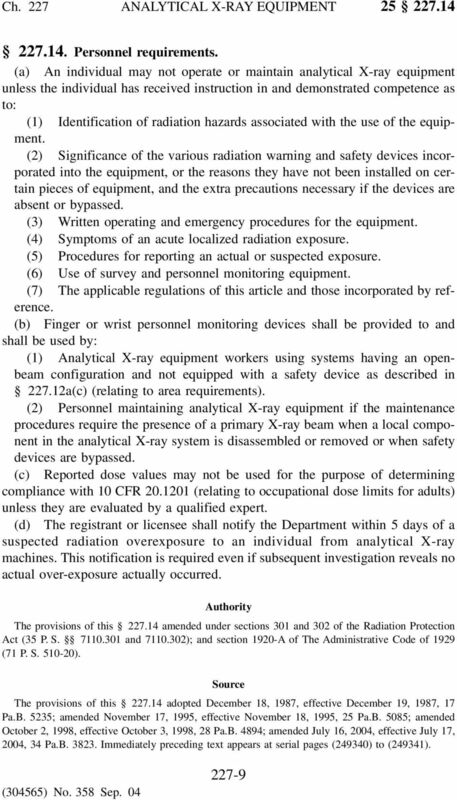 Hazards in the Use of X-Ray Analytical Instrumentation R. Jenkins and D. J. Haas Philips Electronic Instruments, Mount Vernon, New York, U.S.A.
Ch. 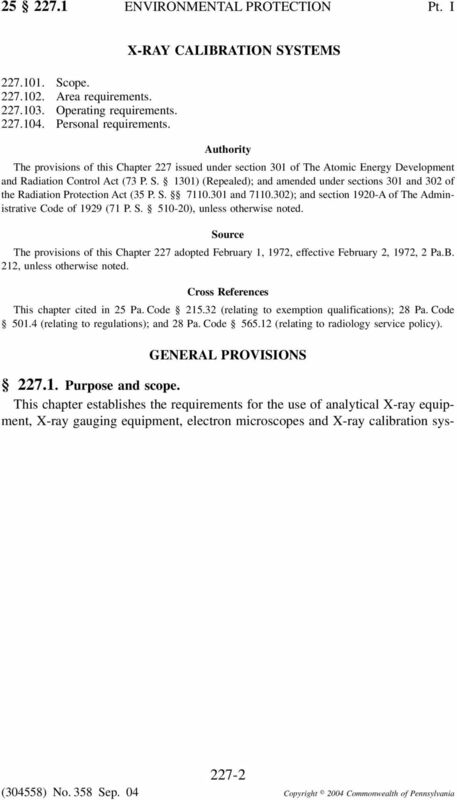 42 PROGRAM APPROVAL 22 CHAPTER 42. PROGRAM APPROVAL Sec. 42.1. Scope. 42.2. Exception. 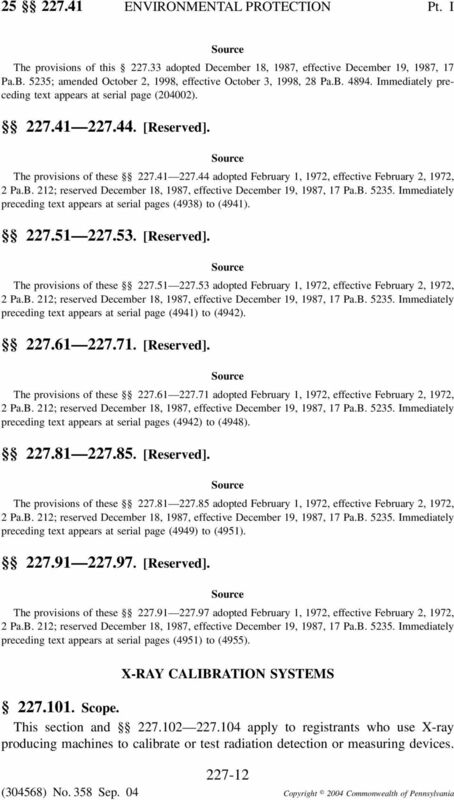 PRELIMINARY PROVISIONS SPECIALIZED ASSOCIATE DEGREE PROGRAMS APPROVAL PROCEDURE 42.11. Application. 42.12. Evaluation. Page85 Lock-out Tag-out Plan Page86 Lock-out / Tag-Out Plan Table of Contents 1. Policy 2. Purpose 3. Scope 4. 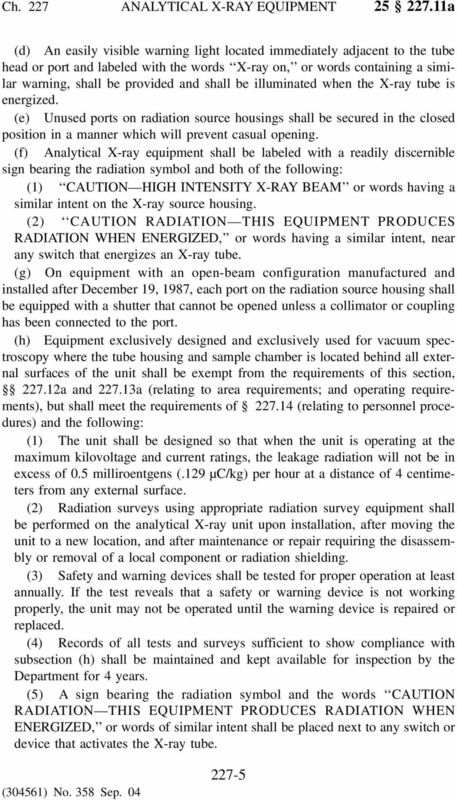 General Procedures 5. 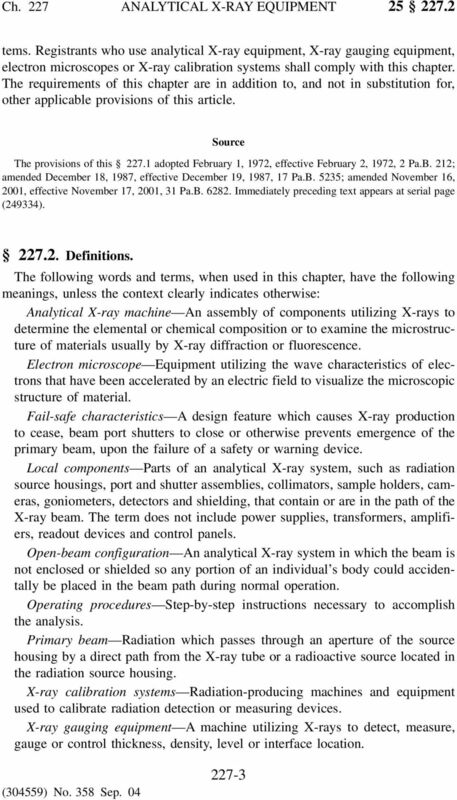 Application of Control Procedure 6. 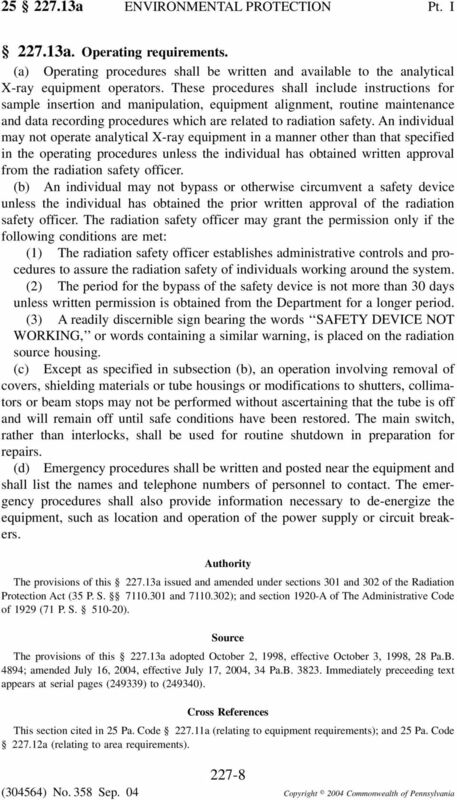 Release from Control Procedure 7. IAC Ch 41, p.1. Procedure means a stereotactically guided breast biopsy performed on a patient for diagnostic purposes. 2. 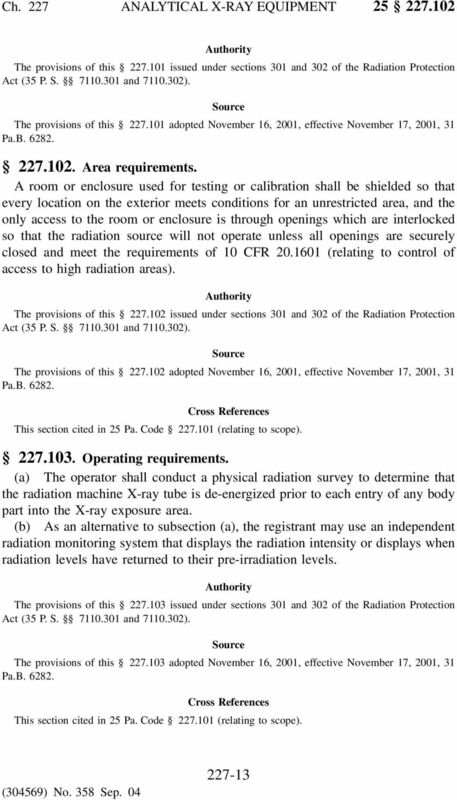 Scope These procedures apply to the use of all types of lasers used at the University. Lockout is the process of blocking the flow of energy from a power source to a piece of equipment, and keeping it blocked out. 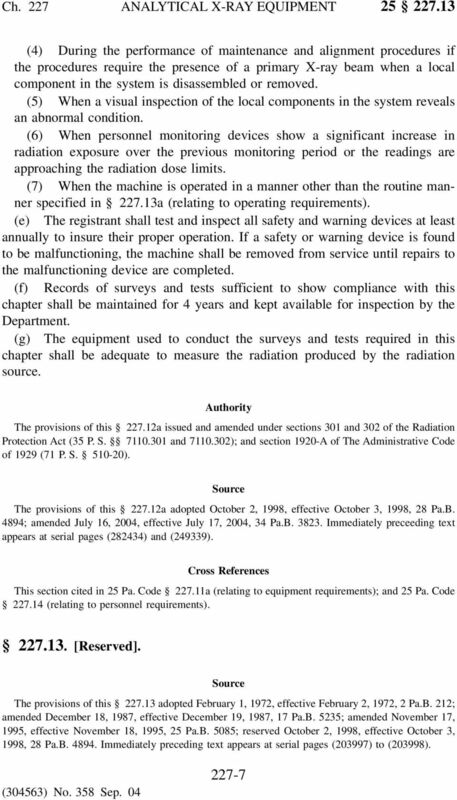 All users must read this document and obtain approval and training from the SIT.